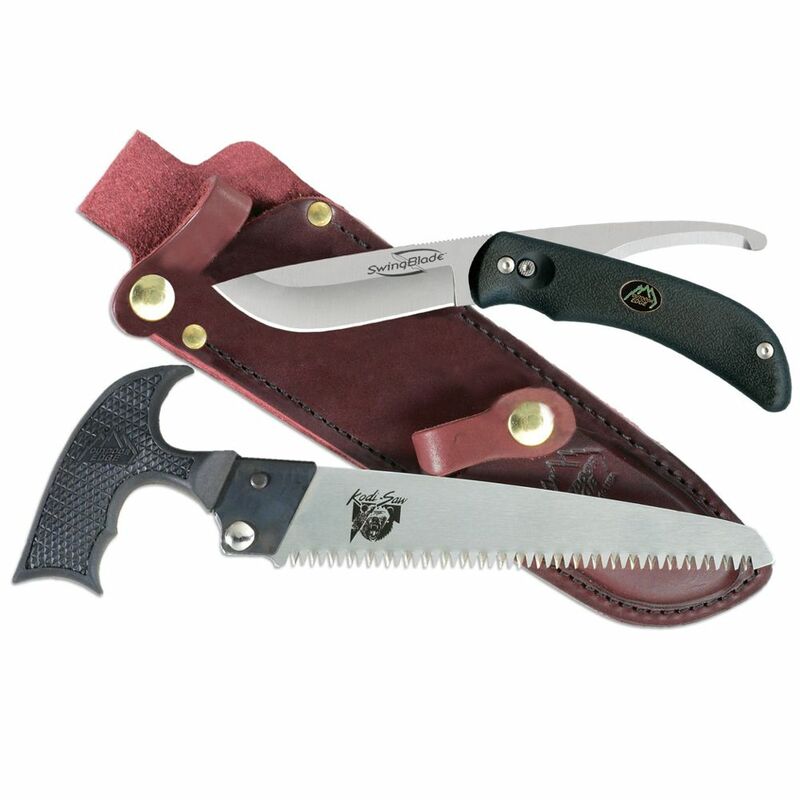 Switch from a skinning blade to a gutting hook just by a flick of your wrist with the Outdoor Edge SwingBlade Skinner. This set includes a saw so you can cut through any tough materials that the SwingBlade just can’t manage. 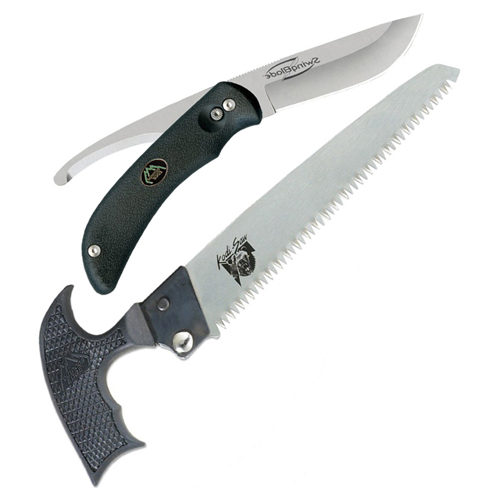 Both tools have non-slip TPR handles, while the SwingBlade has sharp AUS-8 steel with wear resistant 65Mn carbon steel for the saw.